Instantly appealing thanks to its tranquil reserve side address and family lifestyle attributes, this stunning residence overflows with charm, style and beauty. It features dramatic vaulted ceilings, a choice of private entertainment areas and a whisper quiet street setting in one of Lakelands finest enclaves. Architecturally designed and superbly crafted with cavity brick, the well appointed property has been stylishly designed for premium living with immaculate Brush Box timber floors, a refreshing solar heated pool, three fireplaces and ducted air conditioning all adding comfort. Positioned in a prime location, you will enjoy bush views from the living and alfresco areas with the convenience of being moments from the hub of Warners Bay, pristine Lake Macquarie, excellent schools and abundant leisure activities. * Occupying a private 874m2 landholding backing onto reserve. * Character rich layout with enormous living and dining areas. * Alfresco patio, salt water pool and established surrounds. 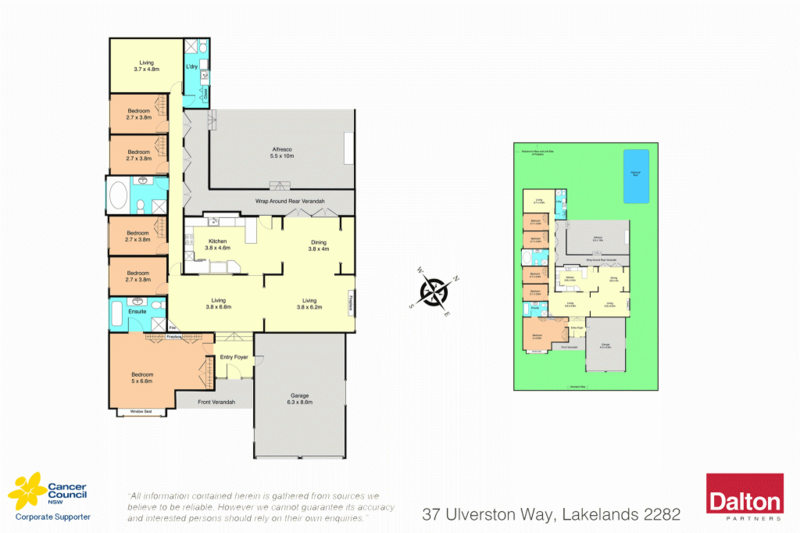 * Five bedrooms with built ins, master ensuite with tub. * Solid Tasmanian Oak kitchen and large spa bathroom. * Second living zone is ideal for multi-generational living. * Internal laundry with a third bathroom adds convenience. * 20 solar panels, security system with cameras. * Automatic double garage with additional driveway parking.